One of the things we had to figure out before we moved to Mexico was what to do with our physical snail-mail, i.e. old-school US Post Office deliveries. The postal mail is notoriously slow and unreliable here, so we knew that we didn’t want to simply change our mailing address. Instead, we decided to use a virtual mailbox. These are businesses that receive and open your mail for you. We change our mailing address to the address that they provide you. Then, they receive your mail. 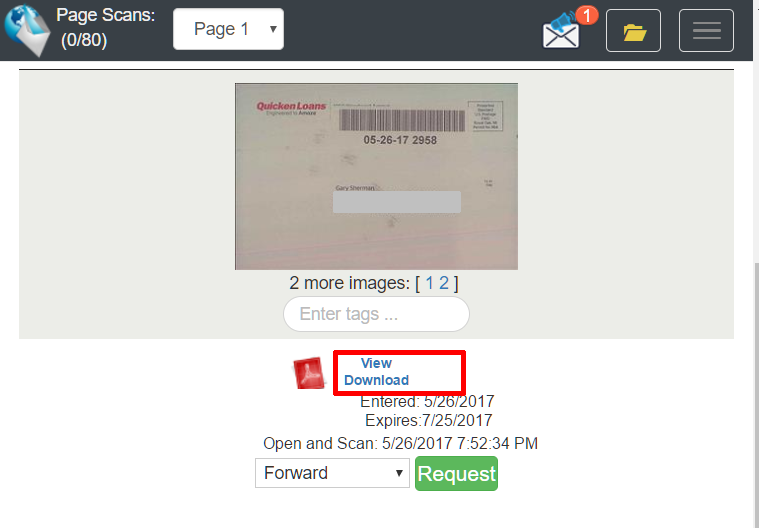 They scan the envelope, and upload the image to their online service, which you can access through the web or via their mobile app. Then you decide what happens to it. For anything that looks important, I have them open it and scan the contents. This normally happens within a day or two. Then I’m able to view the scanned contents online. Again, at that point, I can decide to delete it, forward it, or shred it. All of the scans are PDFs, so they’re easy to access, and that makes it easy to download and save it I want. I decided to go with Traveling Mailbox. They have a good reputation with other expats and digital nomads, and their pricing is reasonable. The cheapest plan is $15/month. We went with the $25/month plan, which gives us 80 page scans per month. Once we get a better idea of how many scans we really use, we may end up downgrading to the cheaper plan. And if you sign up for a year, you get 2 months free! I then log onto the site, and tell it what to do with each piece of mail. I can request that they open and scan it. Once they’ve done that, I can view/download whatever was inside the envelope. The UI for Traveling Mailbox is a bit basic and dated. Being a developer of web applications I’m probably overly critical of this. But, it’s functional, and gets the job done. When selecting a company to receive my mail, one of the things that was important to me was the state of the mailing address. Being a Texas resident, and being that Texas doesn’t have a state income tax, I wanted to be sure I still had a Texas mailing address. Many of the companies offer addresses in different states – so this may be an important factor for you when selecting a company. 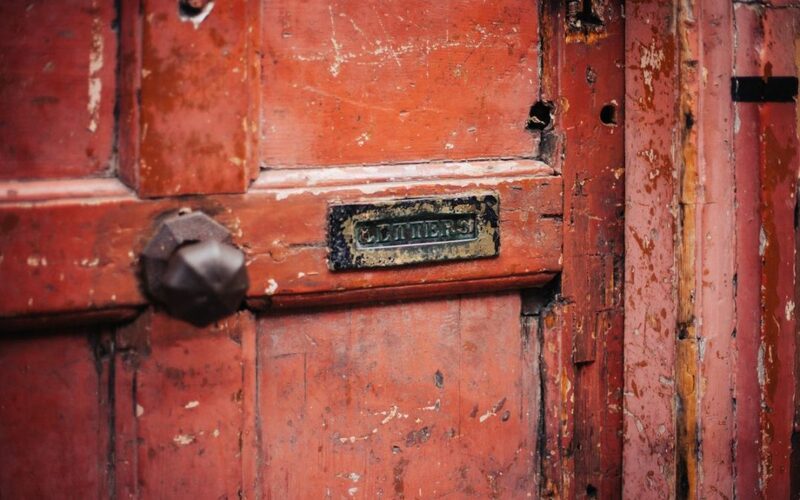 Some of the services provide you with a PO Box, as opposed to a physical address. I like the idea of a physical address, especially since some financial service companies require an actual physical address. In addition, some delivery companies will not deliver to a PO Box. With an actual street address, I can also receive FedEx and USPS packages/letters. So that’s one other thing to consider when selecting a company to handle your mail. Traveling Mailbox does provide physical street addresses, not PO Boxes. These types of companies are referred to as a Commercial Mail Receiving Agency (CMRA). In order for them to open your mail, you need to fill out Form 1583 from the US Post Office (USPS). The form itself is simple, but it does need to be notarized. So if you’re going to do this, I suggest doing all this before you leave the US, as getting things notarized in the US is typically easier than doing it in Mexico. On occasion, we get actual checks in the mail. Refund check – we’re rich! One of the services that these companies offer is that they will deposit a check for you. With Traveling Mailbox, there’s an additional fee to do this, as they physically mail the check to the bank. But, what I’ve been doing is using my bank’s mobile app, specifically the check deposit feature. This allows me to take a picture of a check, and that deposits it into my bank account. When I get a check in the mail now, I simply pull up the scanned check (which is a PDF file), and I take a picture of the check on my monitor, which allows me to deposit the check online. Thus, I’m able to deposit my checks with no additional fees. You could also print out the scanned check PDF, and take a picture of that. And, if for some reason this doesn’t work, I can fall back to the Traveling Mailbox service where they deposit my check. So far, I’ve had to deposit a handful of checks, and I was able to deposit them all by simply taking a picture of the check on my computer. What about credit cards, and other physical things? For these, I have Traveling Mailbox forward them where I want to go. For example, I’ve had some items forwarded to my brother back in the US. 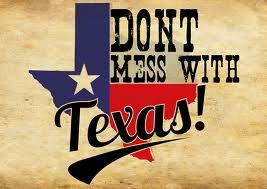 For others, I’ve forwarded them to my work office back in Austin, and I’ll pick them up next time I visit the office. I changed my mailing address with all of my banks, credit cards, financial institutions, etc. But I’ve had a few banks that require an actual physical address. 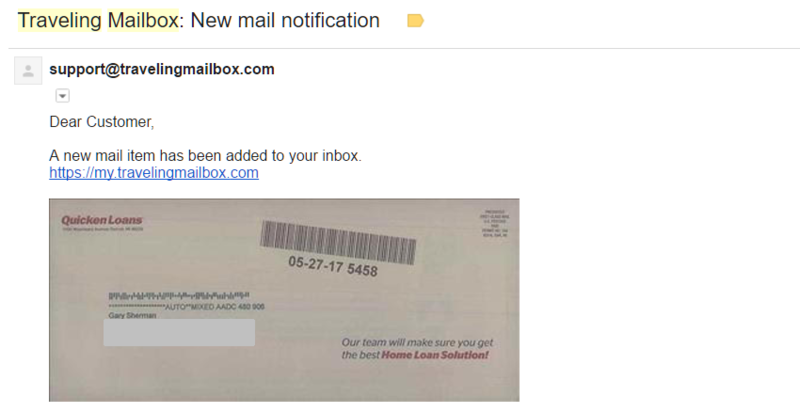 For example, American Express recognized that the address I gave them was a Mail Receiving Agency, and asked me to provide an actual physical address. So I did – I gave them the address of where I’m currently staying in Mexico. So far, this has been fine. Traveling Mailbox understands that most people do not want their junk mail. 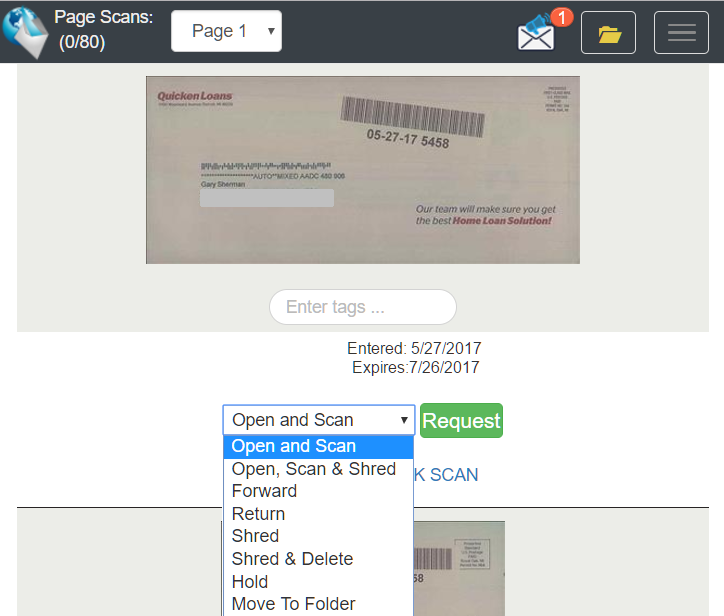 As a result, we take extra steps to remove junk mail before its uploaded to your account. Because of this, mail that we identify as junk will be shredded immediately and it will not count against your monthly allotments. Traveling Mailbox also gives you a fax number, so if you need to have someone fax you something, you can receive faxes in your Inbox as well. They can also send faxes for you as well. 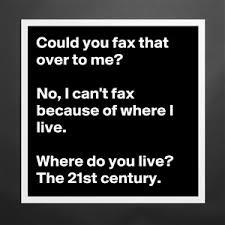 Personally, I hope to NEVER send or receive a fax again. We’ve only been using Traveling Mailbox for a month, but so far, it’s worked out great. I find it so easy to simply view my mail online. I’ve been happy with their service and the costs. This week I had a question about my usage from last month, so I used their online chat to reach their customer service team, and they responded quickly and answered my question fully. Note: the Traveling Mailbox links in this post are my affiliate link, so should you sign up using my link, I do get a small kickback. I think it’s enough to buy a beer. Or maybe two beers down here in Mexico! So if you do sign up, please use my link, which will help keep me well inebriated! You quoted one of my favorite Lyle Lovett songs and provided good information – well done! Thanks Kim! I was wondering if anyone would pick up on the Lyle lyric – very cool! Hi neighbors! Great blog. I met you both at Cafe Layla, and again with Tony and Lucy. My dog is Thor. Apparently, if I want a Seattle address (any random Seattle address), I am automatically getting the more expensive premium package. Is that correct? Also, I accessed their website through the link you provided. Will you automatically get credit for my subscription, or is there something else I need to do? Hi Janet – of course we remember you! Yes, for Traveling Mailbox, if you want an address other than NC, it’s Premium, and they charge a bit more. Keep in mind that if you signup for a year then you get 2 months free, which can help offset the premium cost. As long you access the site through our link, we’ll get credit. Thanks so much! I read this quickly, so I may have missed something. What about Amazon packages, etc.? How is that handled in this environment. Terrific to find a source of solid information and Lyle Lovett quotes. Hi Walter – thanks so much for the nice comments! With TravelingMailbox, you can have packages shipped to your virtual address, and then they can forward your packages where ever you want. They ship using UPS. We don’t use this option though. If we want stuff shipped, we simply have packages shipped directly to our home in Mexico.